As you might remember from my last post, Degustabox is a monthly subscription food box service with each box containing between 9 and 14 products from well known and / or up-and-coming brands. It’s a fun way to discover new brands and to try food and drink products you may not otherwise discover or add to your supermarket trolley. We all tend to buy the same things week in, week out, don’t we? So what was in the December box? Each box costs £12.99 including delivery and the value of the box contents is promised to be far greater than this, based on what you would expect to pay if you bought the items in the shops. Once you have received your box, you are encouraged to review the products and let the brands know what you thought – whether you liked the item or not. The December box contained, as per the previous boxes, a lovely mix of sweet and savoury treats. There is a selected list of products for each month published on the website but not everyone receives the same combination. The element of surprise adds to the fun. 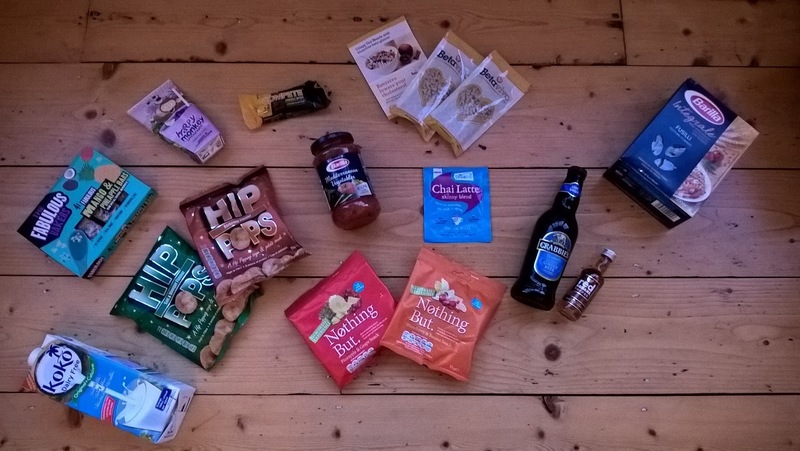 Once again, there was a mixture of brands I already knew but quite a few I’d heard of but not got round to trying – which is really the point of Degustabox. There were 10 products from January’s selection and 1 from a selection which Degustabox call their “Db’s Discoveries”. 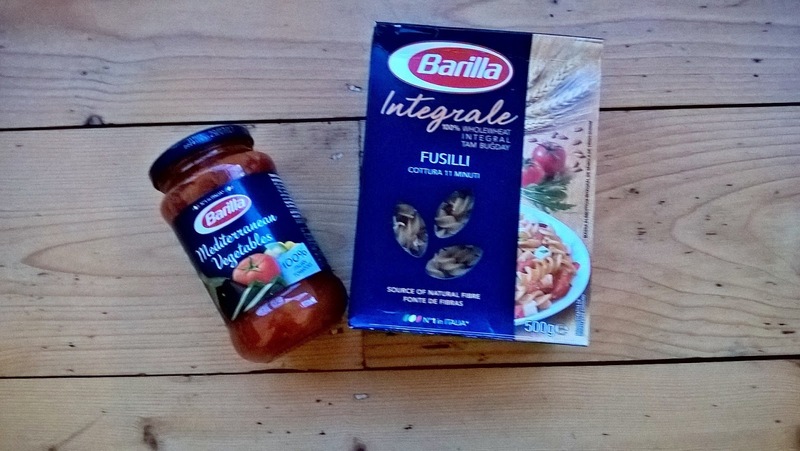 Degustabox’s products of the month are Barilla Mediterranean Vegetables Sauce (£2.00) and Barilla Whole-Wheat Fusilli (£1.50). The theme of this month’s box is “Healthy New Year” and these two items form a mainstay in lots of healthy tea-time suppers. Pasta is so easy to feed to children. Even Ieuan eats it! Whole wheat is much better for us than white too, with one serving giving you 20% of your daily fibre needs. Healthier than fried or baked snacks, these contain 50% less fat than standard potato crisps. They come in 6 flavours, 4 of which are gluten free. The product contains less than 11% fat and is low in saturates. I received the Barbecue and the Salt & Vinegar flavours. 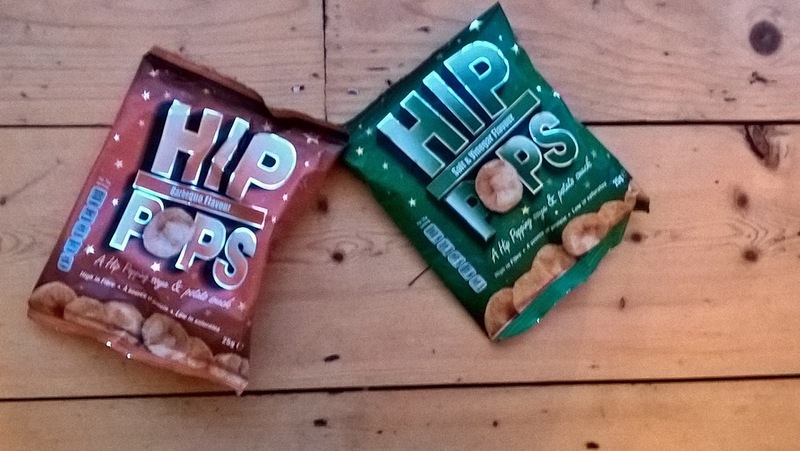 Hip Pops contain around 99 calories per 25g serving. 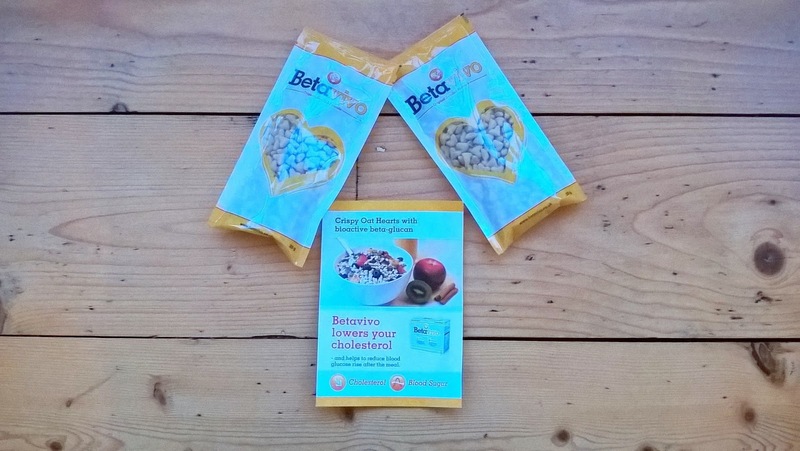 Betavivo is a crispy oat heart cereal which is proven to lower your cholesterol and blood glucose. One daily serving provides the 3g of beta-glucan from oats needed to reduce your blood cholesterol as well as helping to reduce the amount of blood glucose your body produces. 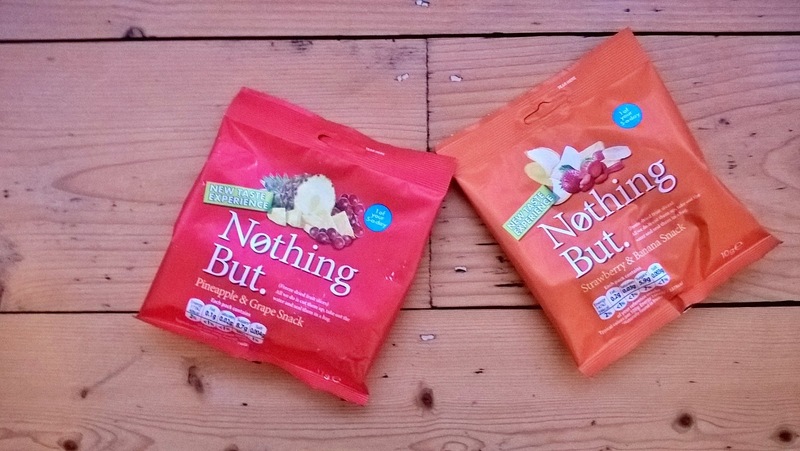 Nothing But is a healthy freeze dried fruit and vegetable snack with under 80 calories per bag. Each packet also counts as 1 of your 5-a-day. I had the yummy Pineapple & Grape and Strawberry & Banana varieties. We are already big fans of Fabulous Bakers. 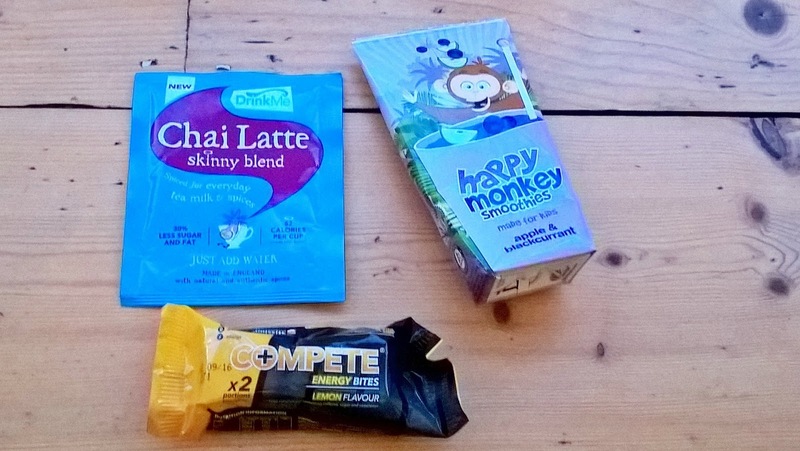 These snack bars are made with all natural ingredients and contain no ‘nasties’ or added sugar. They are made with real fruit, slow release energy oats and are also high in fibre. This is a unique alternative to cow’s milk as it’s made with freshly pressed coconut milk. 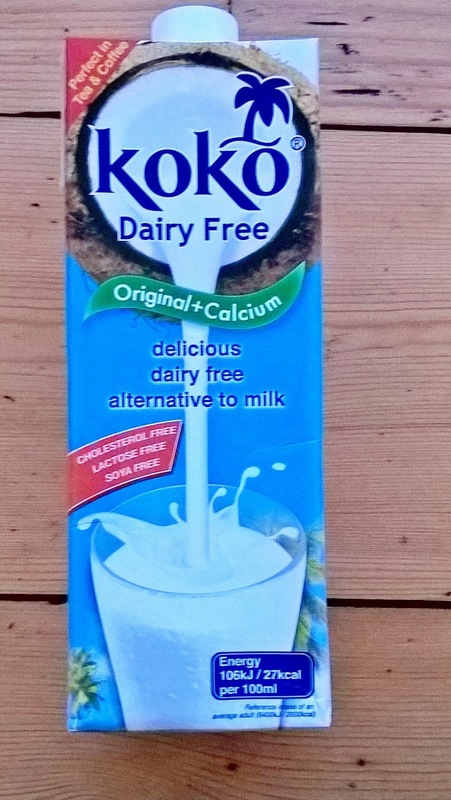 It contains fewer calories than skimmed milk, has 0% cholesterol and is 100% allergen free. It tastes remarkably like cow’s milk on breakfast cereals and doesn’t curdle in your tea or coffee. Now I’m not entirely sure these two can be classed as ‘healthy’, especially given the new alcohol guidelines which cheerful state that there is no safe level of alcohol consumption. But, on the basis that a little of what you fancy must still surely do you some good, I’m prepare to suspend any disbelief. Crabbies Alcoholic Light Ginger Beer has half the ginger of the original for a lighter taste and 2.8% vol per 330ml of the beverage. Red Square Toffee Vodka is made with 7 times distilled and 100% pure vodka and Degustabox have helpfully given a recipe for a pick-me-up cocktail on the reverse of their information leaflet. 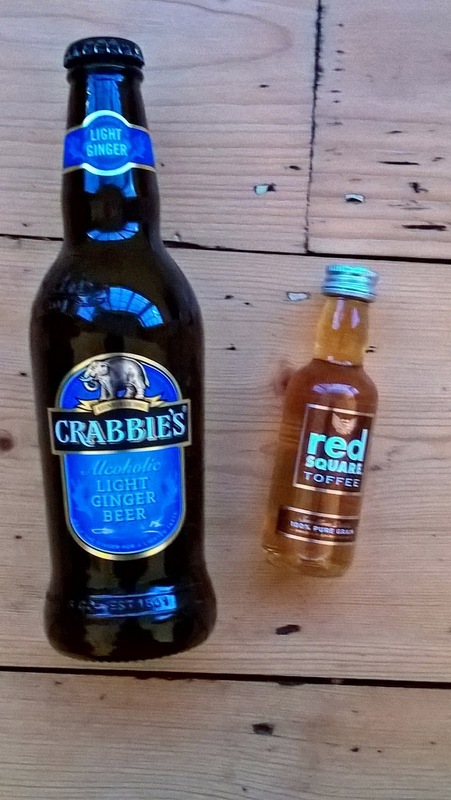 To make a “Crabbie’s Toffee Mule”, simply combine 25ml of Red Square Toffee with 330ml of Crabbies and add some ice. Simples. These are low calorie chocolates infused with caffeine. In fact, 1 bite is the equivalent of a large premium coffee. They provide an instant energy boost to help improve your alertness, endurance and physical energy. The Husband has tried them as an energy boost on an early morning sprint from Cardiff to London and says they certainly do the trick. Just be careful not to take too many – it is caffeine after all, and there’s an advisory note on the box. These smoothies have no added bits and give children 1 of their 5-a-day. They come in 3 flavours, Strawberry & Banana, Orange & Mango and Apple & Blackcurrant. They are made from 100% pure fruit and are free from sweeteners and preservatives. They come in boxes of four and are ideal for lunchboxes. Chai seems to be growing in popularity but I must confess I’m not a particular fan. This one is spiced with a hint of clove and has only 42 calories per cup. It’s available to buy in Waitrose, Sainsbury and Ocado. The total retail value of the box is £19.94, good value given the cost of the box was £12.99. If you like the excitement of a monthly present and enjoy trying out new brands, I think Degustabox is a great scheme. I’d place it firmly in the ‘treat’ category but the price is low enough to make it attractive. A Degustabox subscription would also make a great gift. You can cancel at any time, as long as you give them sufficient notice to stop next month’s box. Please note, though that Degustabox can only deliver to Mainland UK and not to Northern Ireland, the Scottish Highlands and Islands and you must be over 18 to order. I also have a discount code for first time subscribers for a very generous £6 off your first box. Simply enter BLDEG15 at checkout. Further information is available at the Degustabox UK website, or you can talk to them on Facebook or on Twitter. 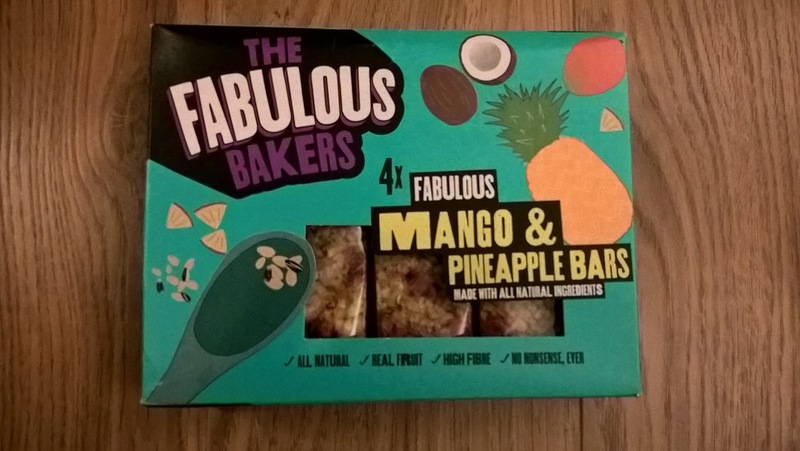 "Giveaway: £45 Off Your First FoodZube Online Shop At Tesco"
"My Favourite Posts Of 2015"